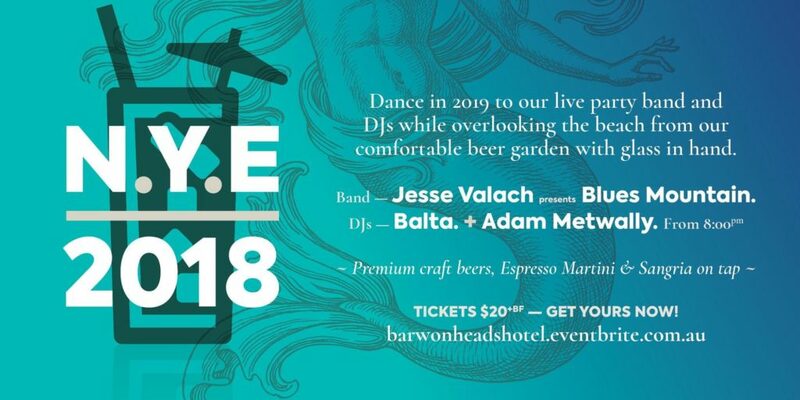 Bring in the New Year the right way, at the Barwon Heads Hotel! With cocktails on tap, craft beers plus all your favourites, a red-hot party band – JESSE VALACH pres. BLUES MOUNTAIN playing all your favs, and DJs BALTA and Metwally to keep you dancing until the early hours you can’t go wrong!